That's one big spider web. ahhhhh!!!!!! 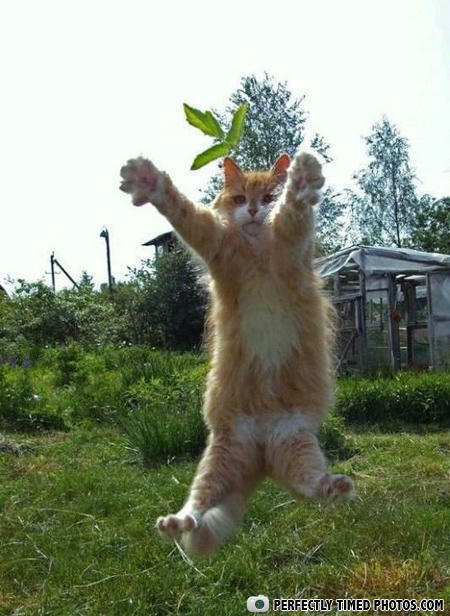 flying cat! !, take it offf, take it off!!!!!!!!!!!!!!! Come on...don't just leaf me hanging! Im in ur yard, levitating ur leef. i been weed free for awww about.....ahhhh come back!!! Da da da da da da daaaa! Got item! Marijuana don't leave me i need you!! &this is why yoga exists . Darlin, you were suppose to put that Garfield cling-on on the inside of the window. Cat dont dare take that weed. DAMN YOU! Screw the cat nip, I want the good stuff!!! frankencat strikes again. he's just too damn addicted. Yoda must've trained him hard.. but the cat doesnt really get the thing about concentration..
Can you sense its powa!?!?!?!?!? Wow, how does that weed got so high !? were the hell did u get that picture of mee!!!! Only open your mouth as a triangle and we have a mammy!